Hendrick’s Gin is hosting a Rittenhouse pub crawl and cocktail competition on Thursday, June 5. 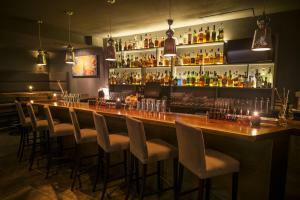 Gin cocktails will be served as you meander through neighborhood bars. Each establishment will present a drink for competition. Avance will feature their signature Unicorn Egg, a gin cocktail with house made rhubarb vinegar and lemon verbena syrup. The evening culminates with the crowning of a victorious cocktail. Vote for your favorite! For more information, check out the Hendrick’s Gin Facebook events page. Avance is celebrating Negroni Week Monday, June 2 through Saturday, June 7. During this week, bars around the world will be celebrating joining the fun by donating to their favorite charities. With over 750 participating bars, Avance will be in good company. The restaurant, located in Philadelphia, at 1523 Walnut Street, will be featuring a classic Negroni. 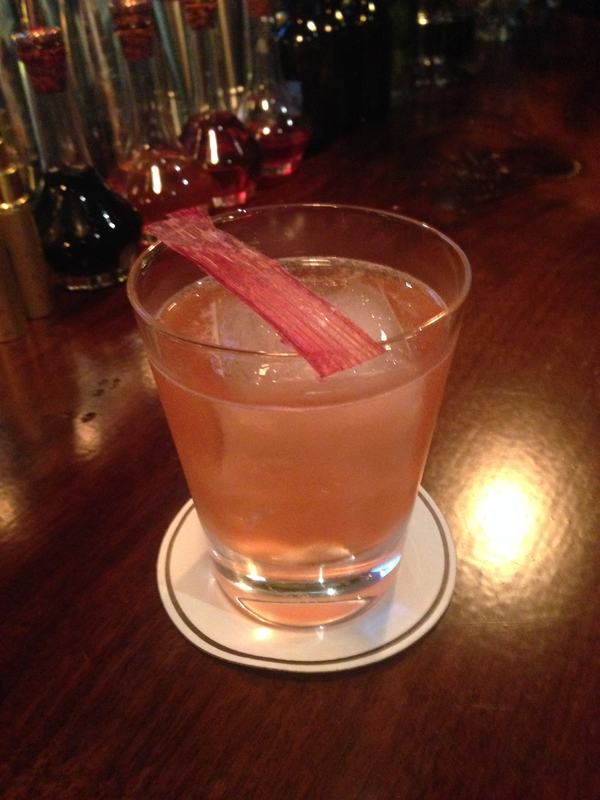 In addition, Avance’s very creative barman Bradford Lawrence has added a Negroni variation to his cocktail list. A deviation of Boulevardier circa 1927, it is “a wonderful cocktail that is the genesis for my ‘10 Bells’ cocktail”. This drink is a combination of two different bourbons, Campari, Sweet Vermouth, Amontillado Sherry, all rested over Japanese charcoal for ten days. The cocktail is stirred over a large ice cube and finished with gunpowder tea tincture mist. A portion of the sale of each of these drinks will benefit The Food Trust, an organization that supports access to healthy food nationwide. So, what is a Negroni, you ask? It’s a classic apéritif, made from equal parts gin, Campari and sweet vermouth. According to Bradford, “The components of the Negroni are potent, bracing and designed to celebrate the strong ingredients.” While there are variations of the cocktail, Bradford enjoys a classic Negroni, made with London Dry style gin. Negroni Week is sponsored by Campari. Campari will donate $10,000 to the chosen charity of the bar that raises the most money during the week. Negroni aficionados can follow along using #NegroniWeek and #TeamAvance, and as always, tweet with us @BreslowPartners. Negroni Week concludes on Sunday, June 8th. Located on the lower level, The Bar at Avance offers a large selection of spirits, beer, wine and a menu of shared plates. For more info, log onto the Avance website at http://www.avancerestaurant.com or call the restaurant at 215.405.0700.